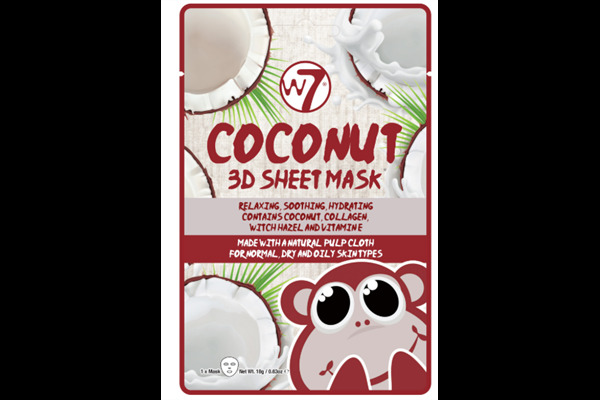 Relax, soothe and hydrate with W7's Coconut Mask. Enriched with skin-loving ingredients! With a delicious scent for a luxurious and relaxing experience. The 3D sheet face mask helps maintain moisture as it works after just one treatment! Skin will feel smoother, brighter and more relaxed. 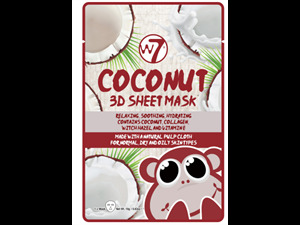 W7's Coconut face mask contains coconut, witch hazel, collagen and vitamin E.
Recommended for Normal, dry or oily skin.